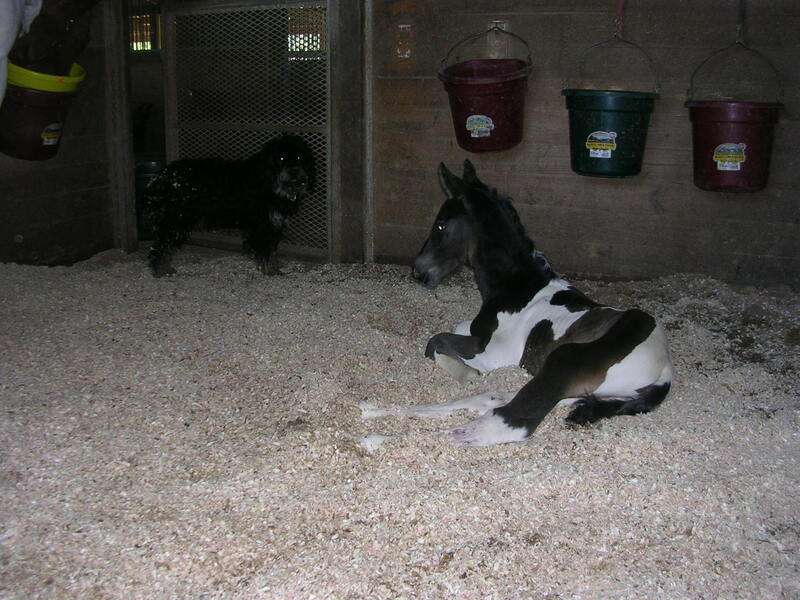 We have extensive experience in all aspects of equine breeding including quality mare care, foaling, and imprinting. Our breeding program has included Arabians, Andalusians, Paints, and Warmbloods. We are currently specializing in Sport horses, specifically Warmbloods and Arabian crosses for Eventing, Dressage, Hunters, and Jumpers. All Heart Sporthorses has both broodmares and young horses for sale, as well as leases stalls and pastures to other breeders. We have an experienced staff that is able to handle stallions. In past years we have stood a number of stallions including Appaloosas, Andalusians, Arabians, Paints, and Dutch Warmbloods. We have also hosted Houston Dressage Society shows which include breeding classes allowing owners to show their mares and foals without leaving the property. For inquiries about All Heart Horse Farm's breeding program, please contact Heidi or Cindy by e-mailing info@allhearthorsefarm.com, or by calling 713-515-1261. Return to All Heart Horse Farm home. Copyright © 2004-2016 All Heart Horse Farm. All rights reserved. Created: 2005.